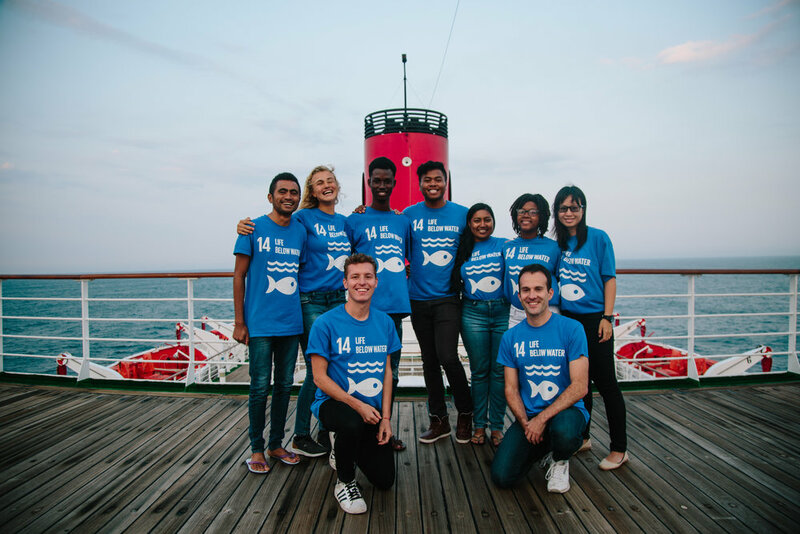 Pilgramers was invited by Peace Boat to document the stories of the Ocean and Climate Youth Ambassadors as they voyaged from Stockholm, Sweden to New York City. Throughout their journey, the youth ambassadors shared personal stories about how climate change is negatively affecting their islands. The youth ambassadors learned from climate experts from various sectors to better equip them with the tools they need to be effective climate champions. Peace Boat is a Japanese-based NGO that makes global voyages raising awareness and advocating for peace, sustainable development, and climate action by using its ship as a vessel to host programs. In July, Peace Boat brought together youth ambassadors from Small Island Developing States in the Indian and Pacific Oceans and the Caribbean to share their personal stories about how climate change and ocean degradation are affecting their islands. The voyage spanned from Stockholm to New York City, making stops along the way in Copenhagen, Bergen, Reykjavic, and Halifax. The ambassadors learned from government officials, private companies, non-profits, and youth activists. The voyage for the Ocean and Climate Youth Ambassadors concluded at the United Nations, where the youth each gave an inspiring speech at the High Level Political Forum. The event was streamed live on UN Web TV, spreading their inspiring and important messages beyond the walls of the United Nations. Among those listening were ambassadors from their islands who openly received their messages.